Keeping with this weeks theme, next St. Patrick’s Day be prepared with your own craft brew. 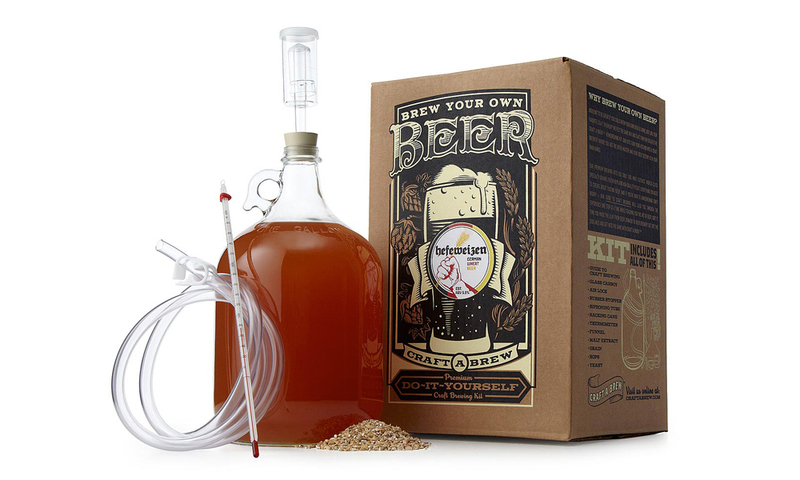 The Craft Beer Brewing Kit gives you step-by-step directions how to get the hoppiest, grapefruit infused, saison your tongue has ever tasted. Ok, that’s actually an impossible beer. You’ll have to pick one style for each batch. Choose from a dozen types from Hefeweizen to IPA to Irish Stout and in about 2 weeks time you’ll have your own craft brew ready to drink. F+B robots are coming at us this week like Rosie when George Jetson gets home from work. On the heels of the Creator burger restaurant, Tipsy Robot in Las Vegas (No shock that a grain alcohol, cocktail making, robot lives in the city of sin) will mix a drink you ordered through your other robot, your phone. See what’s happening here? Robot to robot. Of the extensive Vegas curated menu our clear favorite was the Bionic Bomb. This 28oz frozen cocktail starts with some raw white refined sugar in the form of something they call Passion Berry to get you good and wired. Next they up the ante and sugar taste with none other than the grandmomma of flavored vodka, Stoli Razberi. You gotta respect that Z. Remembering this is Vegas the final robotic, precision pour is 4oz of Cruzan 151 Rum to float this fribble and your sobriety to all but a memory. Did we mention it comes in a Tipsy Robot Souvenir Cup? Yeah, that happens. We were curious what, or who really, was behind this autonomous bartender, so we did some digging. Turns out, the Italians. 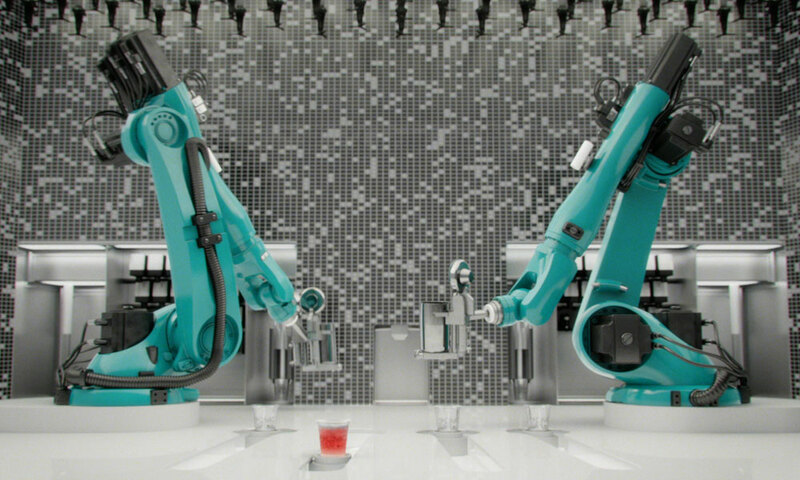 Seriously, The Makr Shakr, as the white label robot is called, was designed by Carlo Ratti Associati out of Torino, Italy, the birthplace of Vermouth for those who are down with the Negroni. Carlo Ratti Associati specializes in design and innovation, and now I guess robotics. Or, maybe, that’s the innovation part. I imagine the teams beta tests were Aperol Spritz’s and Negroni’s instead of the freebase drinks the Tipsy Robot is pouring in Nevada. Jokes aside, this team has created projects like Supermarket of the Future and Paris navigating Gym (a boat that runs on spin cycle bike power) which is to say, some awesome projects. When we realized they weren’t cucks we really started loving what they created regardless of its location or application. Considering all that, maybe one more Bionic Bomb is not a bad idea. That’s either innovation talking or the 151. Finally there’s a companion for my stadium buddy. 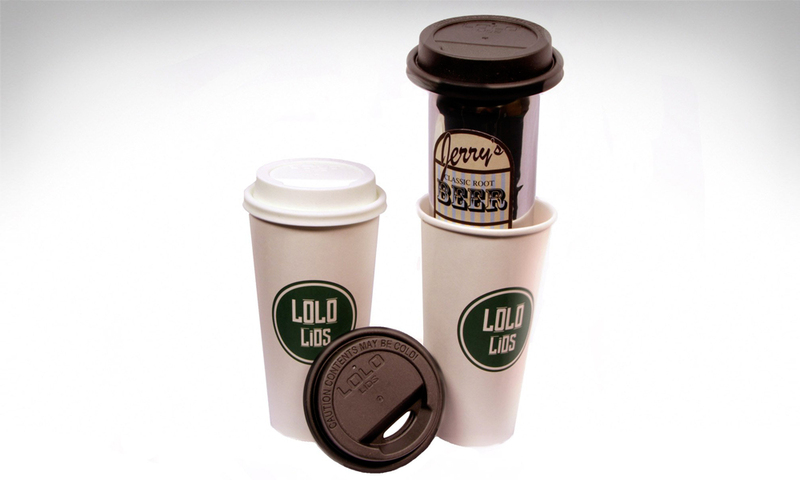 For those tough times when you need to fake out the cops, security, your parents or your wife, Lolo Lids has you covered. Literally. Disguised as a bad airport kiosk coffee you’re left to meander the streets, stadium or floors in Bloomingdales while nipping on your favorite carbonated beverage. Masquerading as a hot cup of java, your beer (let’s be honest, that’s what we’re talking about here) will help you avoid the sneers and jeers of grimace faced citizens on that 11am furniture fabric selection appointment. We don’t mean to sound so jaded or alcoholic about things. We’re just saying, sometimes you have to do something boring and sipping a drink can make it a little better. Full disclosure on this holiday gift reco. We’re tight with the Barking Irons guys. Help you move. Treat you to dinner. Bail you out of jail kind of tight. Disclosure aside, let’s talk delicious unique Americana history. With Barking Irons Applejack at the root of this story, we guarantee happiness under the tree. Or under those gold multi-candle holders. We digress, this spirit is the OG. Meaning, the British and Spanish sailed over to America. They couldn’t find the usual things to make booze from. They found a crap load of apples. 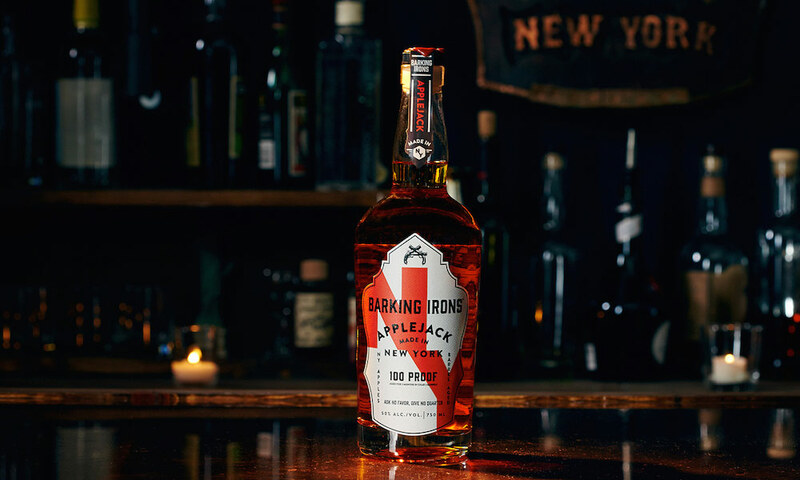 “Jacking”, A freeze distillation process to increase the alcohol content, became a thing. They aptly named it Applejack. Boom, the first indigenous American liquor was born. Quick side note, we are by no means stepping over Haren A Pitahaya, the Apache and Maricopa saguaro cactus wine but Applejack was the first “modern” American spirit. Since then, most of us have forgotten about this story and the product it produced. The guys at Phear Creative thankfully have not. They put into production the first new Applejack option since Laird’s in 1780. What does all this mean? You can gift (yourself if you are so bold) not only a unique addition to ones home bar BUT a historical reference and story to go along with all the fabled Santa Claus tales. As cocktail trends get oakier and smokier mixologists are always looking for new tricks to enhance the taste and the theater of their work. Gone are the oohs and lick lipping ahhs of Tom Cruise flipping bottles. On a recent trip to Milan I had a bartender smoke infuse my Old Fashioned right in front of me. The guys at Oak Bottle are bringing some of that mixology magic to your dinner party or, just your daily post work unwinder sips. The idea was born from the technic of using smaller barrels to “age” wine faster. 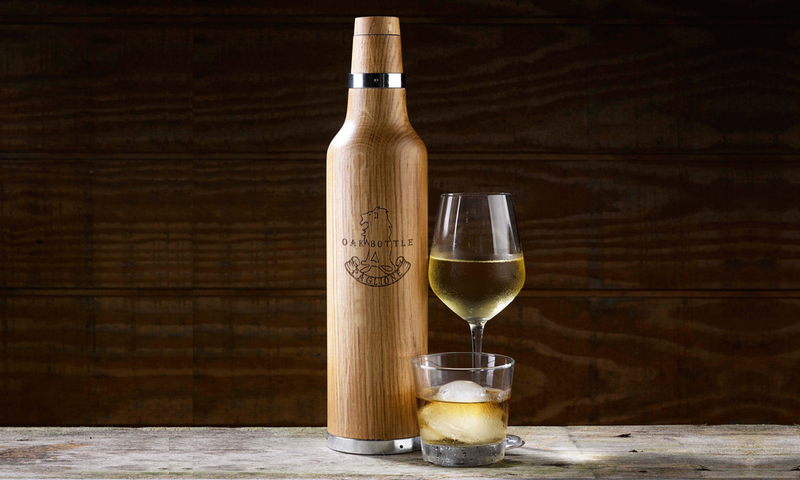 Taking that a step farther, Oak Bottle aims to age whatever you’d like to put in it. Consider it super small batch.